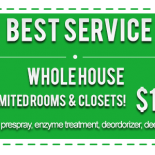 Beyer Carpet Cleaning San Antonio is all about affordable pricing San Antonio. We are not here to take you for your hard earned money. We will do unnecessary work in your home and have you spend more than you planned on spending. Beyer Carpet Cleaning San Antonio is about providing quality carpet cleaning, tile and grout cleaning, and upholstery cleaning at a reasonable and affordable price. We service all of San Antonio and the surrounding cities with no hidden fees or costs. We are here to make you feel like you are living in style with clean and comfortable carpets. We charge half the price of the more recognizable names such as Sears and Stanley Steamers but we provide the same great quality. We may be a little more than Joe Shmo who uses a portable to clean your house and you can’t trust to leave in your home but the little more you with us means you can guarantee your safety and the safety of your home. 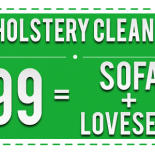 Beyer Carpet Cleaning San Antonio is comparatively more affordable and safer. Affordable pricing San Antonio is what we aim to do especially during these somewhat difficult times. 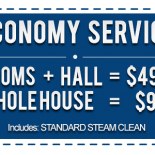 Carpet cleaners in San Antonio will charge you more for the same service we provide and will want to sell you all the extras that you don’t need. If you don’t need it we don’t sell it to you. Carpet cleaners in San Antonio may not always use the best equipment and materials but with Beyer Carpet Cleaning San Antonio we will always use the proper equipment and name brand materials. Our truck mounted machine and our professional technicians will have your carpet cleaning, tile and grout cleaning, and upholstery cleaning looking like new! You will know that it’s not new but your family and friends won’t know once we’re done with it. Call Beyer Carpet Cleaning San Antonio today to have your carpet, tile and grout, and upholstery cleaned.